A stylish, casual backpack you would love to have every time you go out for an adventure! A great addition to your camping, work, school or play. 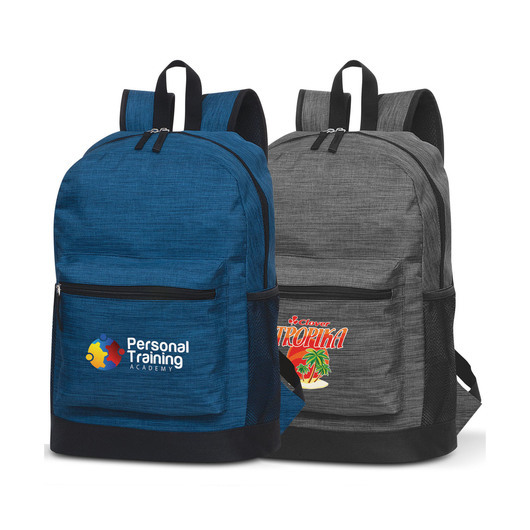 This fashionable backpack is made from poly-canvas that is woven with different coloured fibres to create a very fashionable heather style two tone fabric. 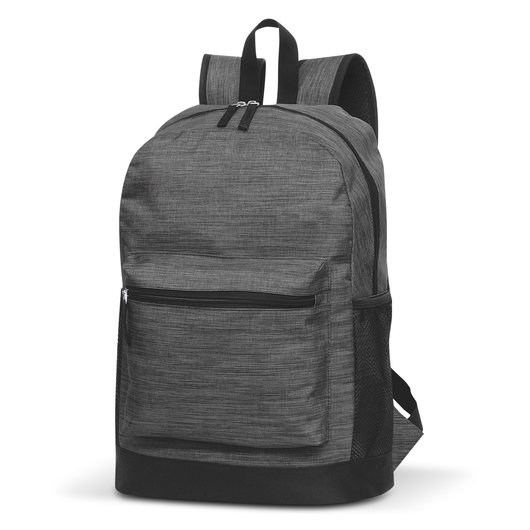 It has padded woven straps that are adjustable, a soft padded back and a padded internal laptop compartment. Other features include a large zippered pocket on the front, two mesh side pockets and a woven carry handle.